I cannot download Carson's sermons (audio) on Android and Logos apps crashes every time when I kicked on "Media Download". I cannot download anything offline with Logos apps running on IOS (iphone & ipad). I logged the above two download faults with support and it looks to me the issues has been swept under the carpet. May the support team please have at a look at the above issues? At this stage, I can only conclude FaithLife/Logos product quality and service are poor. We are currently working on an issue on Android that prevents D.A. 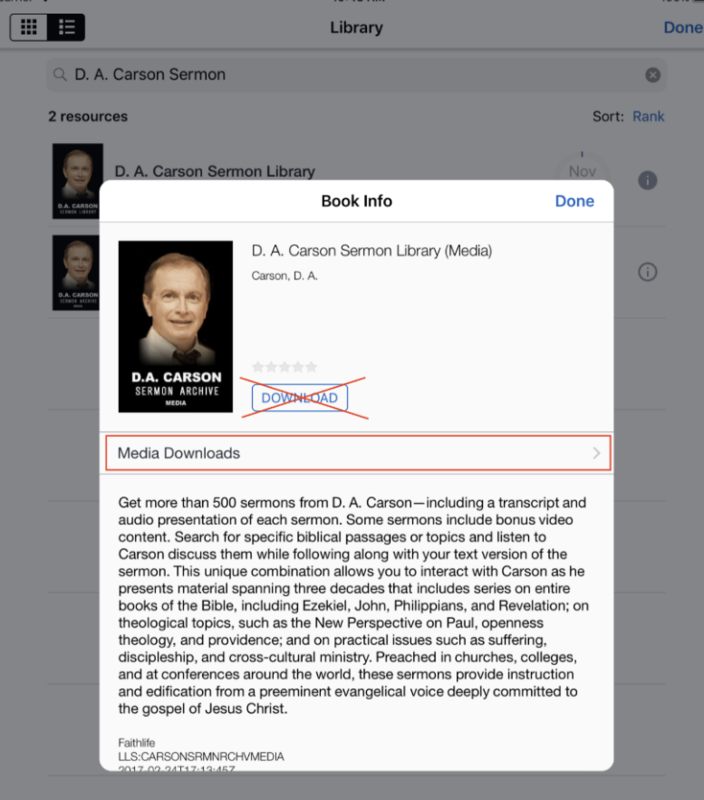 Carson Sermon Library media from being downloaded for offline use. On iOS, if you try to download all of this media at the same time it will crash. Try going to the info pane for D.A. Carson and tap on "Media Downloads". Don't tap on the "Download all" button at this point, you have to tap download on each individual resource. (I know this is incredibly inconvenient, this is an issue we're working on). 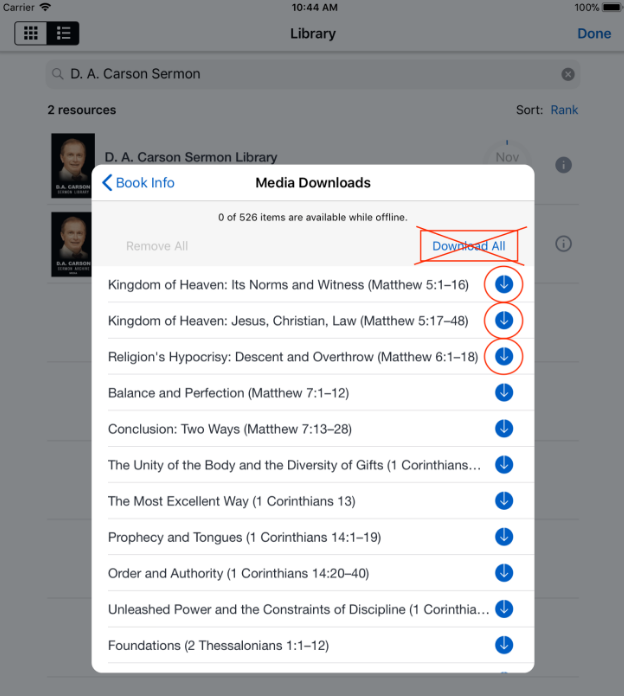 Keep in mind that if you download all 526 sermons in this bundle, it will be 35GB of content. That's quite a bit, so you may want to only download a few at a time (like you might do with podcasts). I apologize for these issues—we hope to address them soon.